Disaster recovery (DR) is rarely considered strategic to the business, but when that downtime happens and you need to quickly restore your company’s data, having an ineffective DR plan poses a serious threat and could even result in revenue loss. So, what does an effective DR strategy consist of, really? In the following white paper, you’ll uncover the characteristics of a top-notch disaster recovery strategy and how you can craft your own to ensure the fastest recovery time possible. 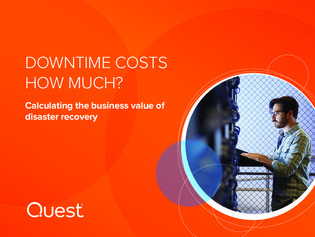 Read on to discover the true cost of downtime and how ineffective DR strategies can inflict harm to the business.